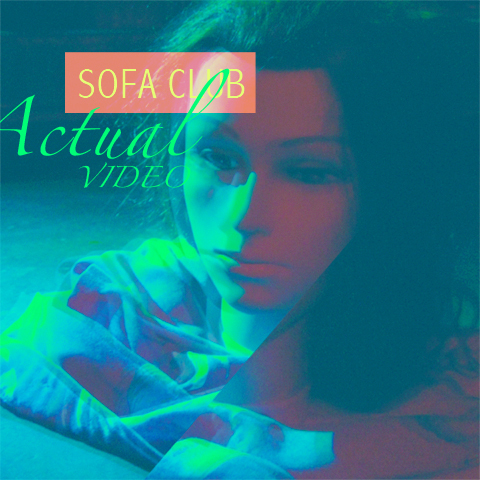 Lodged deep inside Staten Island's crevices next to stale Doritos 'n' crusty quarters, Sofa kings, Danny Lane, David Stagno and Max Tsiring, have made their way out of the cushion cracks to release their first EP, as Sofa Club, entitled, Actual Video. This 4-track EP is layered with loads of energetic, 80's-esque synth ‘n’ bass beats and topped off with Danny Lane’s totally outrageous vocals (and dance moves!). Also found in the fissures of their first EP is Alice Cohen (on Gotta Gotta Gotta) and Autre Ne Veut (on Aroma)—both contributing key parts. The digital version of Actual Video can now be found on Bandcamp with the ACTUAL Actual Video EP to be released/shipped on or around July 4th. Watch their video for Gotta Gotta Gotta (Directed by Marc Maffei). And keep an eye out for 'Sam II'—Danny's bodiless babe that always makes her way onto the set of anything they do (see above). Also worth mentioning: TODAY is Danny's bday (golden bday!) so a very happy birthday to him! And one more thing, they have a few shows coming up (the next one being on the 7th, on Staten Island)—definitely worth checking out, as they're Sofa King good and Danny lights up the stage.